Arguably, Netflix’s (NASDAQ:NFLX) most compelling drama lately hasn’t come from any of its original shows, but rather its share price. NFLX stock has left investors on the edge of their seats in recent months. Netflix stock traded at $380 at the beginning of October. By December 24th, it had plummeted to just $234. Now, less than a month later, Netflix stock has regained $100 per share. The recent move amounts to a 42% recovery off the lows. That was before this morning, when Netflix announced a subscription price increase. NFLX is up 6% in this morning’s trading and a full 50% from its Christmas Eve lows. And don’t think that the action is about to stop. That’s because Netflix is set to report earnings this Thursday. Given the recent volatility around Netflix stock, traders are likely to cause an outsized move following the earnings report. Here’s what you need to know ahead of Thursday’s news release. Probably the single most important data point will be how many new subscribers Netflix picked up on the quarter. The market is looking for around a 7.6 million subscriber growth figure for the quarter. This data point, more than anything else, shows whether or not Netflix’s strategy is working. The company has bet its balance sheet on original content. It is spending more than $8 billion per year on making new shows. If all these new works bring in more customers, Netflix stock will continue to be a big winner. But if that content misses the mark – and to be frank, a lot of Netflix original productions lately have gotten mediocre to bad reviews – then Netflix stock will probably drop. It’s important to remember that over the past three quarters, Netflix topped earnings estimates each time. Yet, in ensuing days, Netflix stock traded down on two of those three occasions. Again, like with Amazon.com (NASDAQ:AMZN), investors aren’t here for earnings today. Instead, they are looking at the long-term outlook for the business. So don’t get too worried about earnings and revenue numbers for this past quarter, instead focus more on subscriber growth and forward guidance. Analysts will also be watching Netflix’s profit margins closely. Until recently, Netflix has been the pretty clear and unambiguous leader in on-demand video streaming. Netflix showed it is confident in this position with this morning’s price-increase announcement, and the market is showing it shares this confidence with today’s rally. However, I think Netflix — and NFLX investors — need to pay attention to the new streaming services sprouting up all over the place. lso, pay close attention to customer churn. If Netflix subscribers start defecting to other cheaper services, it will end up being a huge obstacle to Netflix’s ability to generate reasonable profits going forward. How Will International Markets Fare? One of the interesting pieces of the Netflix investment thesis is its presence in dozens of overseas markets. Not only is Netflix there, it actively produces content in the local language on subjects relevant to each international market. This gives Netflix a huge edge against U.S.-based rivals that don’t have much or anything in terms of international content. Where I live here in Latin America, Netflix is the main brand in video streaming simply since it has a wide library of both American hits and local Spanish-language content. This is potentially a huge advantage for Netflix. 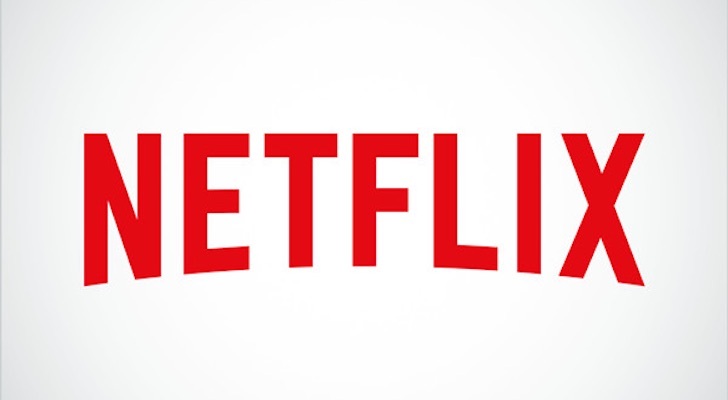 At the end of the day, the United States and Canada combined are just 350 million people, but there are 2 billion people worldwide that might be interested in and be able to afford a Netflix subscription. That said, entering all these markets hasn’t come cheaply. Netflix finally started turning a net profit on its foreign markets in aggregate in 2017. Its profit margin on these other geographies far pales in comparison to the North American market. A large portion of the valuation debate for Netflix stock is how profitable and how much market share it can pick up overseas. So it will be fascinating to see how the company did this quarter outside of the United States. From a technical perspective, this earnings report really is make or break for NFLX stock. If the current rally pushes NFLX near or above $360, the next stop after earnings would likely be $400. The all-time high at $422 would easily be within reach assuming the market’s recent recovery continues. A positive outcome off earnings would wipe away the memory of the recent crash in Netflix stock. On the other hand, technically, things get very ugly for Netflix stock if they come up short on earnings. Bears would point to a declining channel, with the stock making lower highs and lower lows. The stock would almost certainly drop back under $300, and if rough market conditions return, NFLX stock could even conceivably fall back under $250 again. Earnings reports for tech companies usually lead to volatility. But this one is downright crucial for setting the 2019 tone for Netflix stock. Watch the subscriber numbers, the guidance, profit margins, and how international revenues and profits are going. Those will be the key factors in determining if Netflix’s recent rebound is here to stay or will soon vanish. Article printed from InvestorPlace Media, https://investorplace.com/2019/01/this-earnings-report-will-make-or-break-netflixs-2019-prospects/.